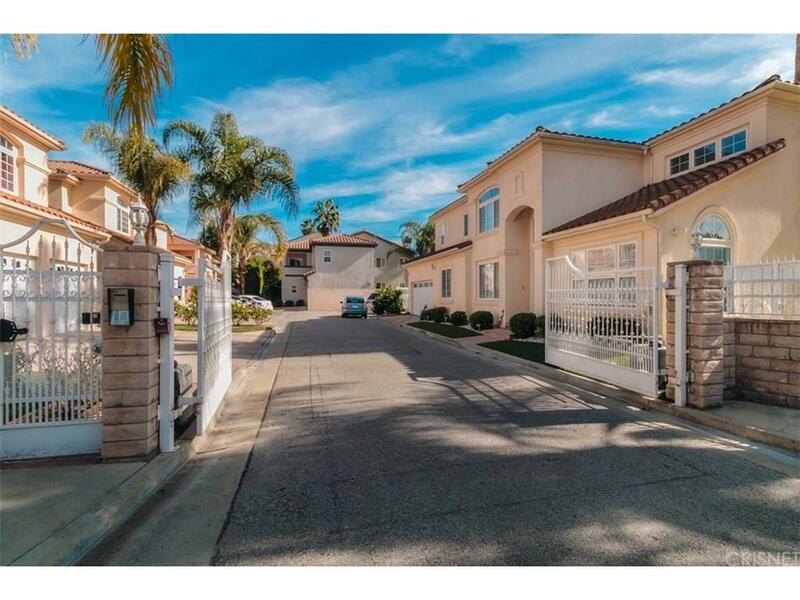 Beautifully refreshed spacious Sherman Oaks Mediterranean style home in an exclusive gated cul-de-sac, steps away from Ventura Blvd?s boutiques, caf~'s, and restaurants and close by to the Westfield Fashion Square Mall and the 101 freeway. Double-entry doors open to a breath-taking living room with lots of natural light and uber high ceilings that flows superbly into both the dining room and family. The spacious Chef?s kitchen with granite countertops, has a good-sized dining area that opens to the well manicured grassy area, and the divine back patio that offers limitless possibilities to entertain guests and enjoy with family. The downstairs also features a wet bar, a sizable en-suite bedroom ideal for in-laws and guests, a laundry room, and a large light and bright study. The Upstairs, boasts a substantial and luxe master suite featuring a spacious sitting area, 2 vanities, 2 walk-in closets, a bidet and a soaking tub. Additionally, there are two bedrooms connected by a Jack and Jill bath, and another en-suite bedroom with a lovely balcony.